Bags and carbon dust filter kit for Cyclo Vac vacuum cleaner. 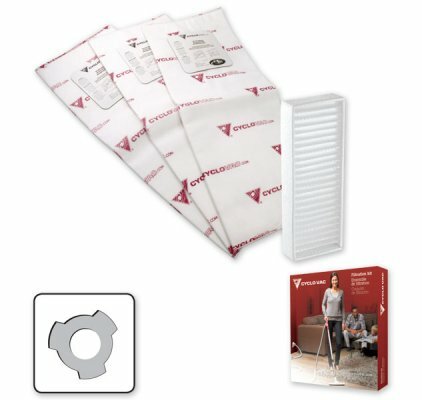 This kit includes 3 electrostatic filter bags and 1 carbon dust filter. These bags have 3 notches.